"... the estranged self, hidden with its inexhaustible potential, lies undiscovered by many people who die without even knowing that it exists". Many thanks for spending time to visit our website in your quest to learn more. Ren Sei Kan was started by senior members of Ren Shin Kan Aikido (Old Hill) in September 2012, which have been instructing for the last 50 years. For more information click on "Intro". 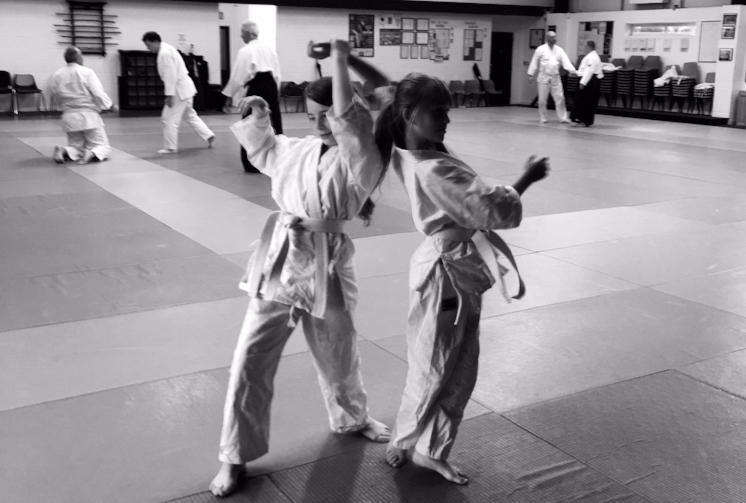 Ren Sei Kan's aim is to empower individuals with confidence and the ability to maintain a healthy physical lifestyle through martial arts and self defence training. You can tell us what you wish to achieve, and we will cater the training to suit your needs. We all know how exercise and a good diet can help us to keep healthy. However, with today’s hectic lifestyle, we find it harder to keep ourselves in shape and maintain the level of fitness that we once had when we were younger. Ren Sei Kan Aikido will keep you in shape. Feel free to come along and participate in any of our classes, or watch if you are unsure – everyone is welcome to our classes. Your first 2 weeks are free if you're new to Aikido. The best way to experience Aikido is to step onto the mat and have a go yourself, so please get in touch. With our form of training...it doesn't matter if you have haven't exercised in years or if you are looking to become the next Steven Seagal, we allow individuals to train at their own pace. Students are welcome from all associations no matter your discipline or grade. "The purpose of training is to tighten up the slack, toughen the body, and polish the spirit". Aikido is a Japanese Martial Art whose origins can be traced back to the 12th Century. Aikido was created in the 1920's by Morihei Ueshiba (1883 - 1969), one interpretation of the name is "The Way of Harmony of Spirit". It is an art that does not seek to meet violence with violence yet maintains its martial origins. It is based on spherical movements by which an attacker’s aggressive force is turned against itself. The main form of Aikido techniques are joint immobilisations and throws using the opponent’s momentum. 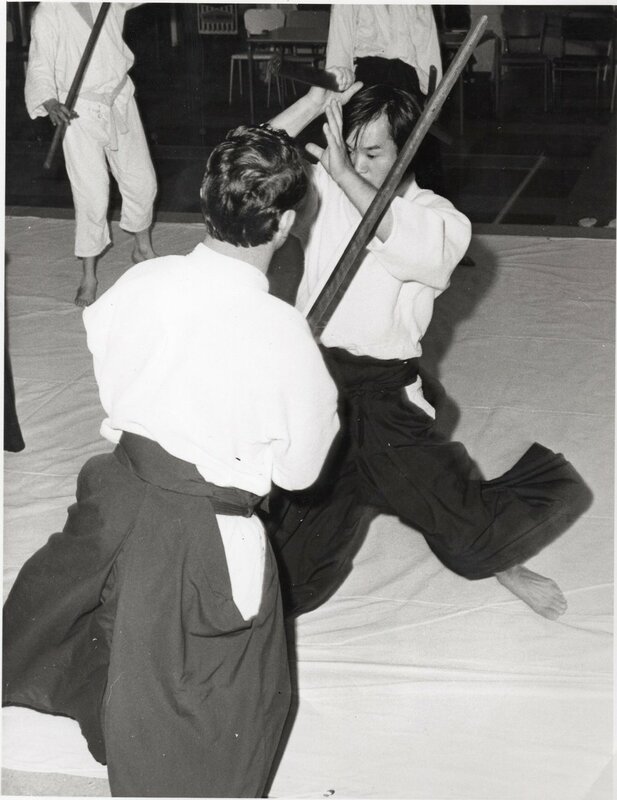 Practices with bokken and jo (wooden training weapons) serve to assist in the understanding of techniques and their development. Traditional Aikido has since its conception been non-competitive, however several styles have developed which has introduced competitive aspects. "To injure an opponent is to injure yourself. To control aggression without inflicting injury is the Art of Peace". Kidderminster, United Kingdom is compliant with the regulations of the Aikikai Foundation, Aikido World Headquarters, Tokyo, Japan through Go Shin Kai (GSK) Association, and provide our Dan grades with Hombu certification. Ren Sei Kan (RSK) is a martial minded Aikido club with a traditional focus on the origins of Aikido. We also pride ourselves on having a grounded knowledge on the lost arts of the Japanese weapons teachings using the Bokken, Jo, Tanto and other traditional systems.